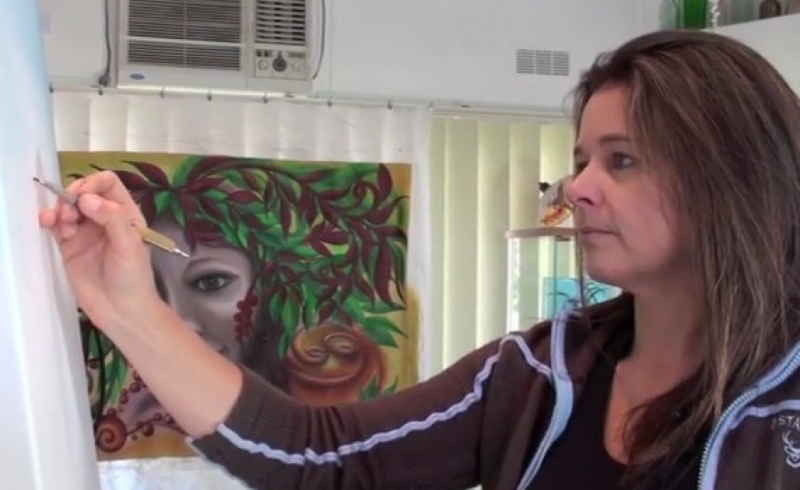 Mealie Batchelor has been a practicing visual artist for more than 20 years and now owns and runs a small Art House Gallery in the Northern NSW Region. Her passion for visual arts and community arts has led her on a journey of discovery, meeting new people, experiencing different cultures and appreciating the world’s diverse art collection. She constantly inspired by the people, the lands, the animals and the ocean, feeling that it is all a wonderful, insightful, research program to help my creative currency expand and prosper. Mealie Batchelor ‘s interests are in music inspired expression – shapes and colour of light, bazaar collections, patterns and textures in nature, and the revival of old or unusual things. She is a multi-platform artist with skills based in the mediums of paint, paper, recycling and wire and metal based sculpture, organic sculpture, photography and community art projects. Within her practice, Mealie Batchelor has an obsessive need to gather and document histories, anatomy, traces of life and in particular, the evidence of life lived in nature. The resulting accumulation of ‘stuff’ provides her endless opportunities for artistic speculation. Mealie Batchelor has a professional and creative approach to all aspects of art and design, which helps her plan and execute my professional work and artworks with integrity and flair. Also, with over 2 decades of collective experience in a variety of Queensland based advertising agencies and design studios, Amelia has a wide range of skills in variety of creative fields. As Manager of a graphic design team in a global consulting/engineering firm, her role there included technical expertise, team leadership, providing innovative and exceptional graphic solutions for clients, project management and client liaison – skills which have followed through to her own contract Graphic Design business.